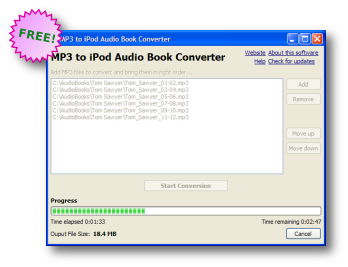 Convert MP3 audiobooks to iPod and iPhone audio books file format. Use your iPod's Audiobook Features. Combine multible MP3 files into a single file for seamless listening. Easy to use. Free. Open Source.